Si basa sul Manuale di zoologia fantastica di Jorge Luis Borges il nuovo lavoro di Carla Kihlstedt, Necessary Monsters, progettato a quattro mani con lo scrittore e poeta Rafael Oses, tuttora in via di compimento e volto a popolare il mondo di creature immaginarie. Dopo una prima versione presentata a Chicago due anni fa, lo spettacolo sarà presentato a fine luglio con due concerti allo Yerba Buena Center for the Arts di San Francisco: ne anticipa i contenuti la stessa Kihlstedt in una breve ripresa affidata a YouTube, e con maggiore dovizia di particolari in Kickstarter e nel sito web appositamente creato, Imaginary Beings Project, dove è possibile contribuire in vario modo al progetto (e anche adottare una delle bestiole, volendo). 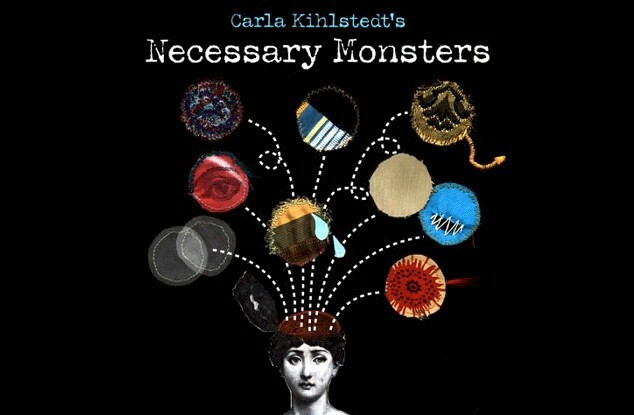 Necessary Monsters is a set of nine songs performed by seven musicians and a narrator. Carla Kihlstedt is the composer, violinist, primary vocalist, and director. The libretto is by Rafael Osés, a Cuban-American poet, artist and educator living on the East Coast. In this performance, the audience follows the delirious journey of a writer cajoled by creatures of her own imagining as she tries in vain to corral and contain them in an orderly field guide. Each poem is a manifestation of an imaginary creature culled from Jorge Luis Borges' Book of Imaginary Beings. Though the character of each one is distinct and unique, together the beings create a cohesive whole, living side by side in one mind. Likewise, though each song is singular in its musical approach, the journey from the first to the last is captivating and complete. There is a folk-inspired song set in the woods, a military march, a dizzying circus waltz, an intimate piece of chamber music, an insistent and aggressive rock song. Necessary Monsters is a celebration of creativity and of the act of self-reflection. All of the beings in the Borges book are the result of people having had the courage to look into their own minds and articulate what they saw, whether it's dark and disturbing, or humorous and laughable.